On September 27, 2018, the Journal of Pediatric, Maternal & Family Health published a case study featuring the care of a child suffering with sensory processing disorder, sleep challenges, and speech delay, who was helped by chiropractic. 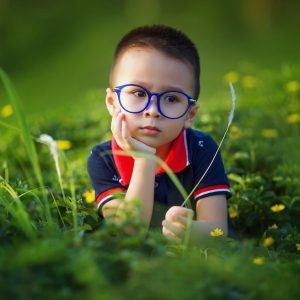 Although there is no clear study showing the number of children that suffer with SPD, surveys of parents put estimates of children entering kindergarten with SPD to be as high as 13.7%. Some studies and authorities estimate that just over 5% of children have some form of SPD. In this case, a 3 ½-year-old boy was brought to the chiropractor for evaluation. The boy had been previously diagnosed with SPD and was also suffering from difficulty sleeping and speech delay. His history revealed that he was suffering from repeated respiratory tract infections, as well as 5 to 6 prior ear infections, frequent colds, colic, and night terrors. The boy also had a sensitivity to certain clothing and was insistent on utilizing a pacifier. The boy’s mother noted that her son had been suffering with his problems since birth and had been under the care of multiple professionals including a physical therapist, an occupational therapist, and a speech therapist. The various therapies had been partially effective, but the mother reported that her son was still struggling. A chiropractic examination was performed which included palpation, an sEMG study, a thermal exam, postural analysis and spinal range of motion. From the findings of the examination, it was determined that multiple subluxations were present. To address the subluxations, age appropriate forms of chiropractic adjustments were started at the rate of three per week. This entry was posted in Uncategorized by Dr. Justin Swanson. Bookmark the permalink.